‘General Hospital’ spoilers reveal that Tequan Richmond will return to ‘GH’ this week as the popular character TJ Ashford, Molly Lansing’s (Haley Pullos) boyfriend. It’s been quite a while since we saw TJ in Port Charles, and ‘General Hospital‘ fans have been clamoring for his return. It’s been a while since Jordan and TJ discussed his mother’s love life, which is supposed to be heating up in upcoming episodes with Andre Maddox. ‘General Hospital’ spoilers tease that Andre finally makes a decision and puts his eggs all in one basket, deciding to let his chemistry with Anna DEvane (Finola Hughes) go and focus on Ms. Ashford. But, will Andre and Jordan get TJ’s blessing to move forward with their relationship. It will also be interesting to see where things are between TJ and Molly. Last we heard, Molly revealed on her mother’s wedding day that she and TJ had slept together. Spoilers indicate that TJ’s return date will be Thursday June 16. 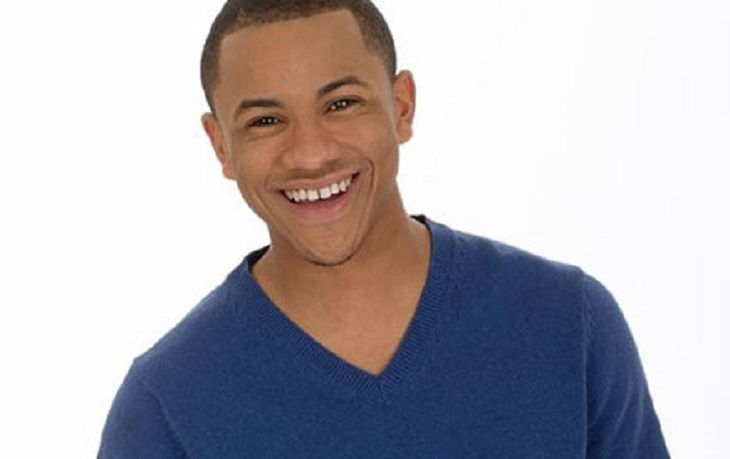 So ‘GH‘ fans, are you as excited as we are to have Tequan Richmond back on ‘General Hospital?’ How do you think he will react to his mother Jordan’s growing relationship with Andre? Share your thoughts in the comments below! ‘General Hospital’ Spoilers: When Will Claudette Arrive In Port Charles?